Yeeeaaah I am back online after a few days in the Internet/mobile never nevers!! I must admit it was kinda nice not having any social media for a few days. 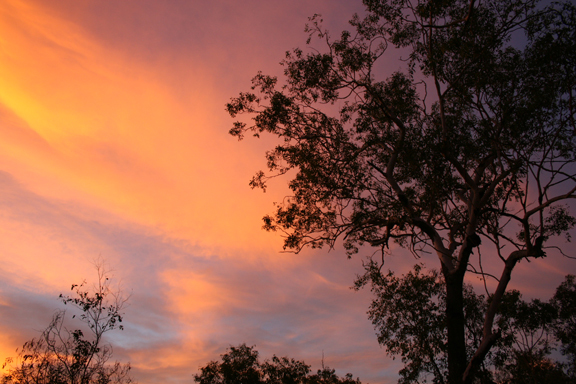 We have spent the last four days in beautiful Litchfield National Park. We stayed in the actual National Park, with no electricity. We did have toilets and showers but you had to be quick or the mozzies would pick you up and carry you away. 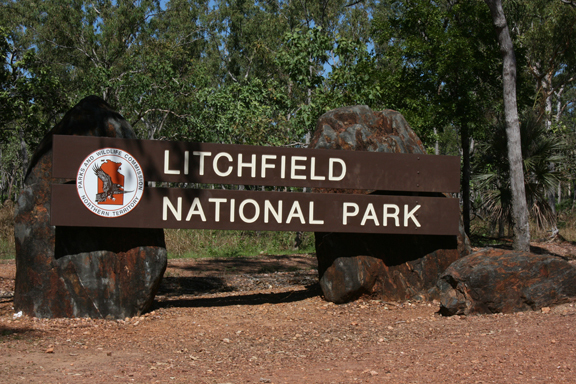 Litchfield National Park covers approx. 1500 sq. km. and is an ancient landscape shaped by water. It features numerous stunning waterfalls which cascade from the sandstone plateau of the Tabletop Range. 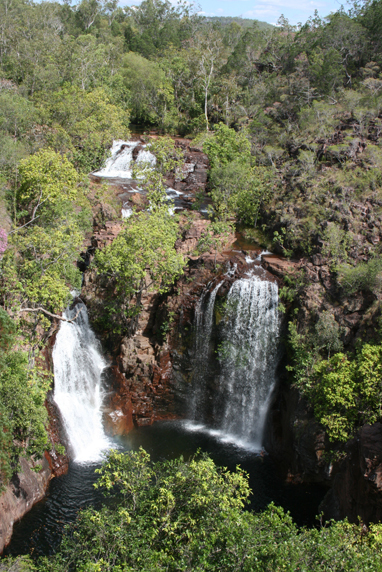 One such location is Wangi Falls, where our camp was set up only 350 metres from the water. 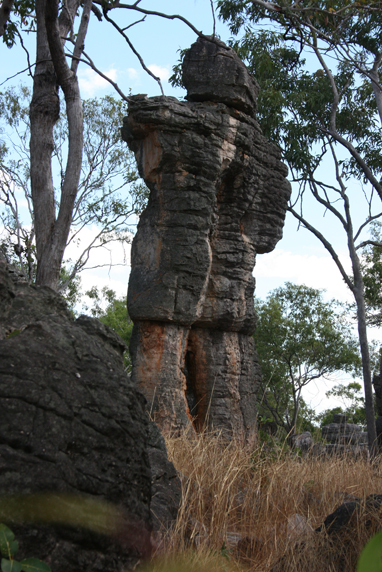 As well as the amazing waterfalls with their shady monsoon forest walks the national park consists of intriguing magnetic termite mounds, historical sites and the weathered sandstone pillars of the Lost City. Aboriginal people have lived throughout the area for thousands of years. It is important to the Koongurrukun, Mak Mak Marranunggu, Werat and Warray Aboriginal people whose Ancestral Spirits formed the landscape, plants and animals and are still present in the landscape today. With all this beauty surrounding you it is sometimes easy to forget that a lot of the waterways in this part of the world are inhabited by saltwater (salties) and freshwater crocodiles. The swimming holes I swam at are all designated swimming holes and are checked each day that no salties have ventured in. I was a bit nervous if I thought about them so I just put it out of my mind!! 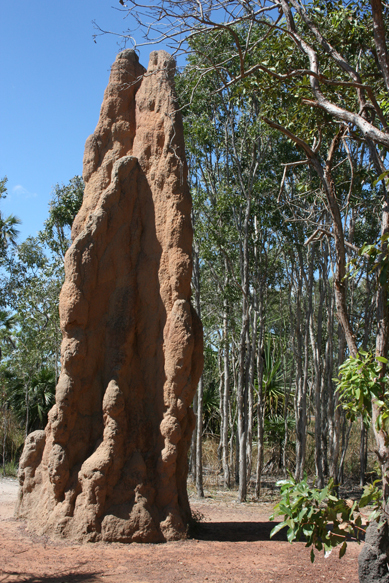 Cathedral Termite Mound - This mound is a home to grass eating Cathedral Termites. It is approx. 5 metres high and over 50 years old. 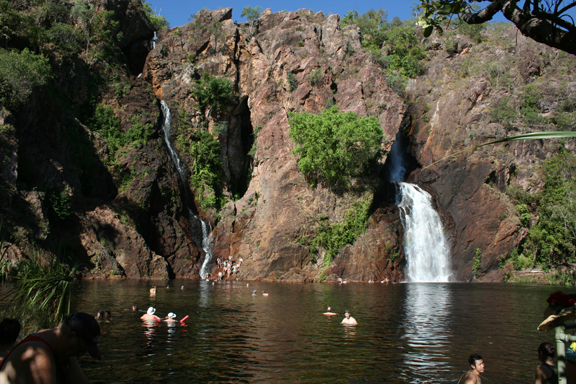 Beautiful Wangi Falls - my swimming hole for four days. The Lost City - nature has formed thousands of sandstone rocks and weathered pillars to resemble a long lost civilisation. How much do these rocks look like a man? We are now back close to Darwin for two nights to do some washing and buy some supplies for the next part of our adventure. 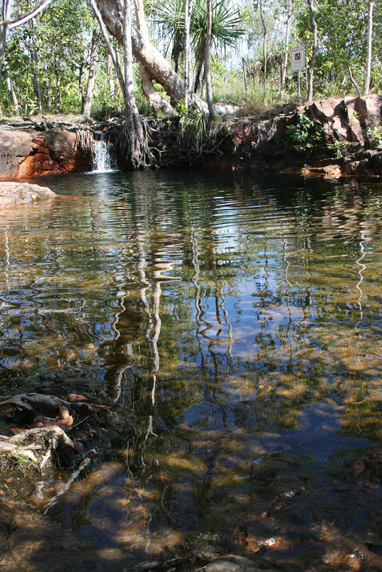 Beautiful scenery and what a magnificent swimming hole. It's great to hear from you and how your journey is going, sounds and looks like an amazing adventure thus far! Davine these photos are stunning, we do live in such an amazing country. Thank you for sharing your photos and adventure with us, as not many of us will ever have the chance to see it up close and personal like you have.